At least five people lost their lives and more than a dozen were injured in an explosion in a shipyard in Cochin, in the southwestern Indian state of Kerala, local media reported. 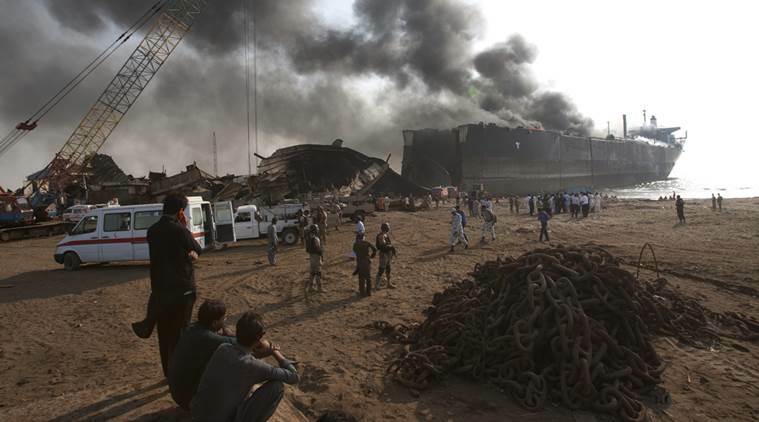 “The accident occurred in the dry dock of the shipyard, five deaths have been confirmed, the situation is under control and an investigation is being carried out to find out how the explosion occurred,” the Hindustan Times quoted the police commissioner as saying. Cochin, MVDinesh. According to the Zee News channel, which mentions the figure of 4 dead and 11 injured, the explosion took place during maintenance work on an oil platform of the ONGC corporation. Meanwhile, the NDTV channel reports at least 5 fatalities and 15 injured. Two more people, according to this medium, have been trapped inside the platform. The injured were transferred to hospitals in the area. Brigades of firefighters, rescuers and policemen were sent to the scene of the accident. The company in which the accident occurred, Cochin Shipyard, is one of the leading shipyards for ship repair and construction in India. It is in this shipyard where the first national aircraft carrier, INS Vikrant, is being built. The company was awarded in 2006 a contract for the repair and maintenance of three ONGC oil platforms, including Sagar Bhushan in which an explosion took place on Tuesday.